At over 6,200 in elevation, you can imagine it was a bit of a slog through knee-deep snow to approach Lake Tahoe. But it was worth the effort to photograph the world’s 27th largest lake on this early winter evening in mid-December. 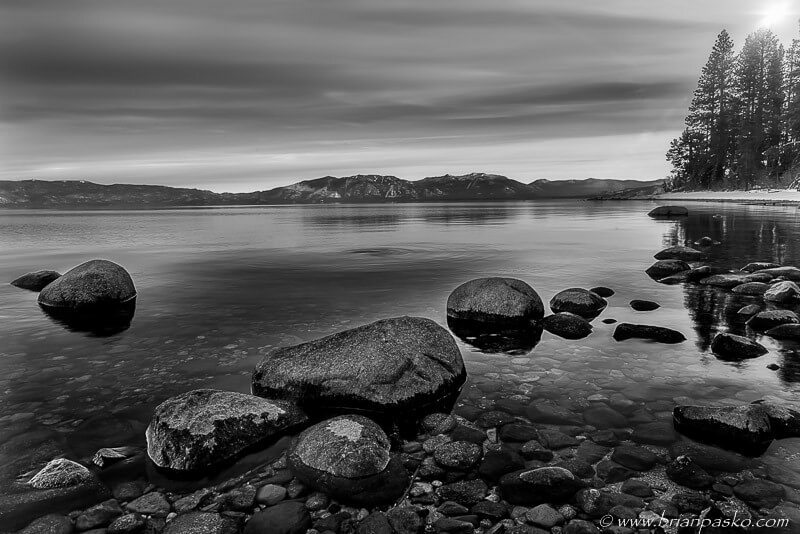 As the sun approached the horizon, the water was still, allowing the reflection of clouds and mountains brush against the stones and boulders that line Lake Tahoe’s shore.